All aboard the 2018 Honda CR-V the ultimate SUV available now at Patty Peck Honda serving Jackson, Flowood, and Madison County, MS! Available in four stylish trims loaded with utility and comfort features to rival its luxury competitors, the 2018 CR-V is an ideal choice for families in need of a rugged, versatile five-seater. Let’s talk about how this vehicle’s legacy lives on in the 2018 model year! Currently in its fifth generation, the 2018 Honda CR-V comes in four trims: LX, EX, EX-L, and Touring. With two engine choices and a host of standard and available features, the 2018 CR-V can meet all your needs. The powertrain on any trim level of the 2018 CR-V will provide the power you need to get the job done. Choose from the 2.4L inline four-cylinder engine at the LX trim, or upgrade to have access to the 2.4L turbocharged four-cylinder engine that turns out 190 horsepower. Either way, you can select from 2WD or AWD to go with the standard Continuously Variable Transmission with Sport Mode. Sluggish handling is never a point of concern on the 2018 CR-V. It always does exactly what you want it to! This Honda model speaks the language of safety, offering an abundance of standard and available features to Jackson area shoppers. From standard features like Vehicle Stability Assists with Traction Control and the Multi-Angle Rearview Camera to the incomparable Honda Sensing® suite of technologies, the 2018 CR-V is your second set of eyes and an extra set of hands when you need it to be. Honda Sensing® includes cutting-edge features such as Forward Collision Warning, Lane Departure Warning, Collision Mitigation Braking System, and Road Departure Mitigation System. The 2018 CR-V looks out for your safety on the road, but it also works to maintain a lush, connected ride without sacrificing style. Spacious seating for up to five people awaits, with options to trim your cabin in leather upholstery, wood trim accents, heated front seats, and Dual-Zone Automatic Climate Control. With additional features designed to make your life easier, such as the available hands-free tailgate, you’ll be an unstoppable carpool force! Honda’s crisp seven-inch display audio screen is available on EX trim levels and up. When you opt for that upgrade, you also gain access to indisputably handy features like Apple CarPlay and Android Auto, which make it easy to integrate your compatible smartphone onto the Display Audio Touch-Screen for maximum connectivity. However, every 2018 CR-V comes with Bluetooth® HandsFreeLink® and streaming audio capability with steering wheel-mounted controls, so even if you select the base model you still won’t lose touch or compromise your safety on the road. 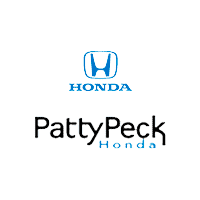 Contact Patty Peck Honda today at (601) 957-3400 and ask us about the 2018 Honda CR-V. You’re one test drive away from your next favorite SUV! *26 city/32 highway/28 combined mpg rating for 2WD LX models. 25 city/31 highway/27 combined mpg rating for AWD LX models. 28 city/34 highway/30 combined mpg rating for 2WD EX, EX-L & Touring models. 27 city/33 highway/29 combined mpg rating for AWD EX, EX-L & Touring models. Based on 2018 EPA mileage ratings. Use for comparison purposes only. Your mileage will vary depending on how you drive and maintain your vehicle, driving conditions and other factors.